Advances in wireless communication technologies, such as wearable and implantable biosensors, along with recent developments in the embedded computing area are enabling the design, development, and implementation of body area networks. This class of networks is paving the way for the deployment of innovative healthcare monitoring applications. 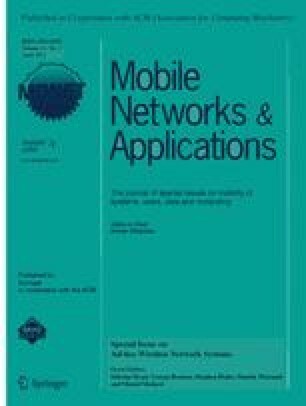 In the past few years, much of the research in the area of body area networks has focused on issues related to wireless sensor designs, sensor miniaturization, low-power sensor circuitry, signal processing, and communications protocols. In this paper, we present an overview of body area networks, and a discussion of BAN communications types and their related issues. We provide a detailed investigation of sensor devices, physical layer, data link layer, and radio technology aspects of BAN research. We also present a taxonomy of BAN projects that have been introduced/proposed to date. Finally, we highlight some of the design challenges and open issues that still need to be addressed to make BANs truly ubiquitous for a wide range of applications. This work was supported in part by the Canadian Natural Sciences and Engineering Research Council through grant STPGP 365208.